1. Raising a Reader: Read aloud to your children every day. According to Put Reading First: The Research Building Blocks for Teaching Children to Read, "The more models of fluent reading the children hear, the better....Reading to children also increases their knowledge of the world, their vocabulary, their familiarity with written language ('book language'), and their interest in reading." If you have young children and want to learn more about the joys of reading aloud, read Mem Fox's Reading Magic: Why Reading Aloud to Our Children Will Change Their Lives Forever. 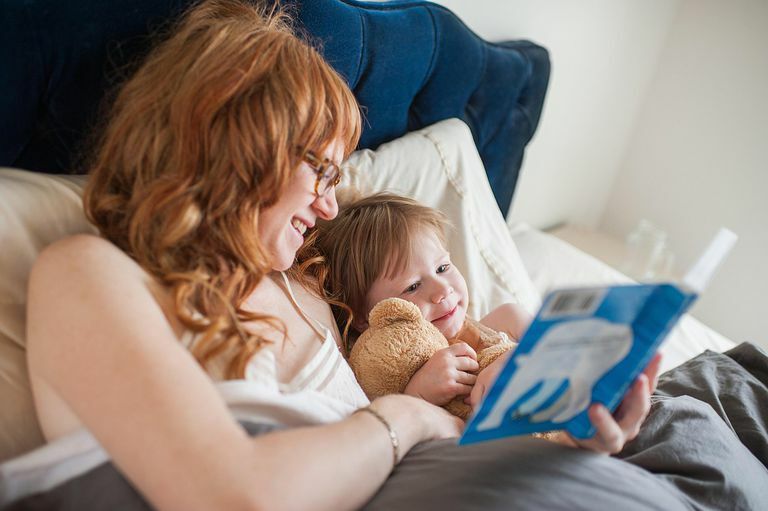 Many families enjoy a 20-30 minute read-aloud time just before bedtime. Start reading aloud to your children on a daily basis when they are babies (see Baby Read-Aloud Basics for tips). Keep reading to them up through elementary school and later. As they get to be independent readers, continue to read aloud to your children but also give them time to read aloud to you. For information on the how, why, and what of reading aloud, I recommend The Read-Aloud Handbook by Jim Trelease. 2. Raising a Reader: Get a library card. Public libraries are wonderful. You can save money at your public library by taking advantage of all of the resources it offers. It is easy to get a library card. In most cases, all you need is identification verifying that you live in the area served by the library. If your children are old enough, they need to get their own cards and learn to keep track of their borrowed books so as to get them back on time. Once you have a card, ask the librarian to show you and your children around the children's section and show you how to use the card catalog (generally computerized). If your children have special interests (favorite subjects, authors, etc. ), make sure they ask the librarian how to locate books related to them. 3. Raising a Reader: Take your children to the library once a week. Get in the habit of visiting the library each week to borrow books. Give each child an inexpensive tote bag for their library books; they can not only use it to carry their books to and from the library; they can also store the books in it when they are not reading them. Spend enough time at the library so your children don't feel rushed. Encourage them to look around. Help them find the books they want. Ask the librarian for suggestions if you need help. Be sure and sign your children up for the library's summer reading program. Many summer programs serve children of various ages, including preschoolers and teenagers. It's important to make summer reading fun for your kids. 4. Raising a Reader: Discuss books with your children and model reading. Talk about the books your children are reading in school and the ones you have read to them. Serve as a role model through your own reading. Share information from your reading with your kids, whether it's an interesting magazine article on a sports team your family follows or a book about a place you'd like to visit. Relate happenings in your family to stories you or your kids have read/heard. Take your children to selected movie versions of children's books. Some movie versions of children's books are terrible, so be sure and read the reviews first. Compare and contrast movie and book versions of the same story. 5. Raising a Reader: Take your children to storytimes, author visits, and other public programs. Public libraries often present storytimes, puppet shows, craft activities, and author programs for children, from babies to teenagers. Check and see if your library has a calendar of programs available. Often, bookstores offer weekly storytimes for young children and occasional author visits. It can be very exciting to meet a favorite author or illustrator. You can also hold your own storytimes. 6. Raising a Reader: Buy books that you know will interest your child. A chapter book from a favorite series, a reference book on a subject of interest, a good quality hardbound version of a favorite book - all of these make great gifts. The trick is to know your children's interests and which books they have, and have not, already read. 7. Create a comfortable reading space for your child. A reading-friendly environment is very important. Make sure there is some place in your home where your child can read without being distracted by the TV or other family members. Good lighting is important, as is comfortable seating. 8. Raising a Reader: Visit the Web sites of favorite authors and illustrators. 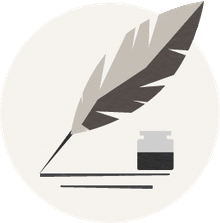 Many authors and illustrators have Web sites with information about all of their books, a brief biography, and activities for children. Some are exceptional. For example, picture book author and illustrator Jan Brett has several thousand activities for children on her Web site. If your children are interested in being writers or illustrators, they will particularly enjoy reading about how others got their start. Some publishers also have exciting sites, such as Scholastic's Harry Potter site. 9. Raising a Reader: Once a week, cook together using a children&apos;s cookbook. There are some excellent children's cookbooks available (see my Top Picks of Children's Cookbooks), and it can be a lot of fun to cook together, whether you are preparing a meal or a snack. Reading and following directions is good practice for your children, and cooking is a skill they will use throughout their lives. 10. Raising a Reader: Buy your children a good dictionary and use it regularly. When I was growing up, any time my brother or I asked what a word meant, we were sent for the dictionary. Once we looked it up, we all discussed it. That was a great way to build our vocabularies and pique our interest in words.